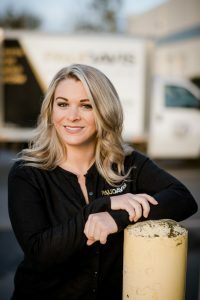 As a professional in restoration, insurance or real estate, it’s always good to have working knowledge of the mold, fire and water damage industry. Paul Davis offers continuing education to anyone who wishes to have training on the latest tools, methods and conflicts found in insurance, restoration and real estate. Certified trainers in Portland & Vancouver, WA are knowledgeable and dynamic in topics covered in the course. The relevant information found in the continuing education courses is targeted to the needs of insurance professionals. All continuing education classes are approved for credit according to WA guidelines. The Paul Davis team has provided continuing education classes to professionals in insurance across the nation and Portland & Vancouver, WA for years. Our continuing education program goes above and beyond by bringing you closer to getting your license. Professionals in the insurance industry aren’t the only people who take our classes. Subjects covered are helpful for property managers, real estate agents and those who work in a field involving property damage restoration. Class is good for Oregon and Washington resident agents. Want be notified of our future Continuing Education or training events? Simply fill out the form below with “add me to your CE & training list” and we’ll keep you in the loop! Make sure to check the boxes for any classes you wish to register for.